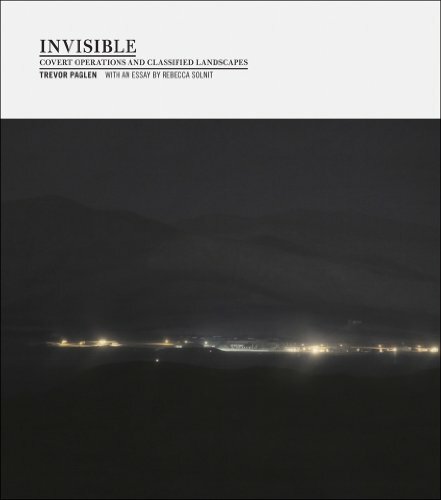 Invisible: Covert Operations and Classified Landscapes is Trevor Paglen's long-awaited first photographic monograph. Social scientist, artist, writer and provocateur, Paglen has been exploring the secret activities of the U.S. military and intelligence agencies-the 'black world'-for the last eight years, publishing, speaking and making astonishing photographs. As an artist, Paglen is interested in the idea of photography as truth-telling, but his pictures often stop short of traditional ideas of documentation. In the series Limit Telephotography, for example, he employs high-end optical systems to photograph top-secret governmental sites; and in The Other Night Sky, he uses the data of amateur satellite watchers to track and photograph classified spacecraft in Earth's orbit. In other works Paglen transforms documents such as passports, flight data and aliases of CIA operatives into art objects. Rebecca Solnit contributes a searing essay that traces this history of clandestine military activity on the American landscape.